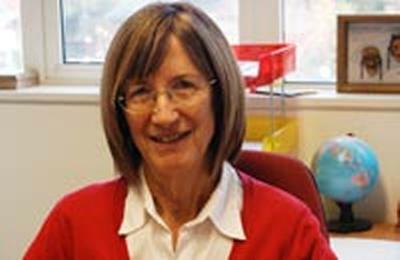 Professor Jennifer Jenkins is the Chair of Global Englishes and Director of the Centre for Global Englishes in Modern Languages and Linguistics at the University of Southampton. I studied English language and literature, Old Icelandic, and linguistics/applied linguistics at the Universities of Leicester, Oxford, and London, and in the earlier years of my career, was first an English language teacher then teacher trainer. From 1992 to mid-2007 I worked at King's College London, where I designed and directed the MA in ELT & Applied Linguistics, and since then have been Professor of Global Englishes at the University of Southampton. I was Reviews Editor of the International Journal of Applied Linguistics from 2004 through 2009, was a founding editor of the Journal of English as a Lingua Franca (JELF), and am currently a member of several international journal Editorial Boards. I am also founding editor of the book series Developments in English as a Lingua Franca (DeGruyter Mouton) and founding director of the Centre for Global Englishes at the University. I am a Fellow of the Academy of Social Sciences. My main research interests are in Global Englishes in general, and English as a Lingua Franca (ELF) in particular. Earlier projects included investigations into intelligibility and accommodation in English lingua franca communication (see 2000 monograph), and attitudes and identities towards and among ELF users (see 2007 monograph). Since then my research interest has turned to English language policy in higher education, and the implications of the spread of English and use of ELF for international and home students in both British universities and English medium universities in Europe and East Asia. Part of this research has been conducted in collaboration with Felix Maringe (University of Witswatersrand, South Africa), part with Ursula Wingate (King’s College London), and part independently (see 2014 monograph). I am currently co-directing a 3-year cross university project together with Prof Anna Mauranen (University of Helsinki), which is exploring orientations to English language use across several universities in the UK, Europe, and East Asia. I am also working with colleagues at King’s College London on an alternative to current university English language entry tests. 'Time for an end to standardized English language tests.' Keynote talk given at the Newton/British Council Workshop, English as an ASEAN lingua franca: Implications for language education policy and practice, Bangkok, January 2018. ‘English as a Lingua Franca for healthcare’. Keynote talk at the ‘English for Healthcare’ biannual conference, Bern, Switzerland, October 2017. ‘English as a Lingua Franca. Past, present, and future’. Plenary talk at the seminar ‘Using and Uses of English’, Helsinki, September 2017. Convenor of workshop, ‘After all that, what do we know – and what do we still need to know? Findings from “Linguistic diversity on the international campus” ’ (Southampton-Helsinki Diamond Jubilee Fellowship project, 2014-17), Helsinki, June 2017. ‘ELF and WE: unity in diversity’. Invited talk in the colloquium ‘ELF at 10: impact and influence on related disciplines and scholarship’, 11th International Conference of English as a Lingua Franca, Helsinki, June 2017. ‘Multilingual and multicultural perspectives on the third ELF eye’. Convenor of invited symposium at the 9th International English as a Lingua Franca conference, Lleida, Spain, 27-29 June 2016. ‘English as a Lingua Franca: Past, present and (possible) future’. Invited talk, University of Cambridge Faculty of Education, 22 February 2016. 'English in the 21st Century'. Annual Richard Hoggart Lecture, Goldsmith, University of London, November 2015. 'Seeing the world through three ELF eyes'. Keynote presentation at the 8th International Conference of English as a Lingua Franca, Beijing, August 2015. ‘(Re)theorising ELF: from revolution to evolution’. BAAL/CUP conference (De)Constructing Englishes. Exploring the implications of ontologies of the language for learning, teaching, and assessment. York St John University, June 2015. 'How good are their intercultural communication skills? International students cast judgement on home students and staff. Intercultural Connections Conference, Southampton, April 2015. Invited plenary speaker at the 2015, plenary at the 2015 Language Training & Testing Center International conference, ‘Critical Reflections on Foreign Language Education: Globalization and Local Interventions’, Taipei, April 2015. ‘Internationalisation on campus – or is it?’ Plenary talk in the 50th Anniversary series, Department of Applied Linguistics, Birkbeck College, University of London, March 2015. ‘Diverse Englishes, intercultural communication, and international universities’. Fourth Annual Distinguished Lecture, Centre for Language Education Research, Aston University, February 2015. Invited convener of half-day workshop, ‘ELF in Higher Education’, at the 7th International ELF Conference. Athens, September 2014. ‘The paradox(es) of English in Higher Education’. Invited plenary, LLAS, UCML, AULC Conference, Southampton, July 2014. Invited presentation, ‘Fit for purpose? Tests of English for entry into international universities’, University of Helsinki, May 2014. Invited speaker with Dutch journalist on ‘Global Englishes and Global Journalism’, Vrije University, Amsterdam, April 2014. Invited speaker on British Council Signature Event. ‘English Medium Instruction: Cure or Curse?” at the 48th International IATEFL Conference, Harrogate, April 2014. ‘English, the elephant in the (international university) room’. Invited talk at the University of Bath, March 2013. ‘The globalisation of higher education. But what about its lingua franca?’ Invited plenary talk at the 3rd Waseda ELF International Workshop, Tokyo, February 2014. Invited convener of colloquium, ‘ELF and EMI’, at the 6th International ELF conference, Rome, September 2013. ‘National English for international univeresities. How paradoxical!’. Invited plenary presentation at the 1st Changing English Conference, Helsinki, June 2013. ‘Academic English in the ‘international’ university. Why so national?’. Invited plenary talk at the Global Englishes Event, Edinburgh Applied Language Seminars, University of Edinburgh, May 2013. Plenary address, Annual Postgraduate Conference, University of Warwick, UK, June 2011. Invited member of plenary panel at the 4th International ELF Conference, Hong Kong, May 2011. ‘English as a Lingua Franca: Challenging the ‘standard’. Plenary address at the 45th Annual TESOL Convention, New Orleans, March 2011. Speaker (alongside David Crystal and Jane Setter) in a video exhibit at the ‘Evolving English’ exhibition, British Library, London, November 2010-March 2011. Convenor of Thematic Panel on English as a Lingua Franca in Europe, and presenter of paper ‘The international university as a transnational space: implications for language policy’ on Thematic Panel ‘English as a Lingua Franca: negotiating transnational space in academic communities of practice’, Sociolinguistics Symposium 18, Southampton September 2010. ‘ELF as facilitator of European diversity and integration’. Talk as part of invited panel, ‘English as a Lingua Franca in and of Multilingual Europe’, convened and chaired by J. Jenkins at the LINEE conference, New Challenges for Multilingualism in Europe, Dubrovnik, Croatia, 11-15 April 2010. ‘English in the world: a reality check’. Keynote paper at the ELLSIIR (English Language and Literature Studies: Image, Identity, Reality) international conference, Belgrade, December 2009. 'Global challenges to standard/'standard' English policy and practice'. Keynote paper at the Irish Association of Applied Linguistics international conference, Language Policy and Language Learning: New challenges and paradigms, Limerick, June 2009. ‘ELF and the international university’. Keynote paper at the Annual International CALPIU (Cultural and Linguistic Practices in the International University) Conference, Roskilde, December 2008. ‘English as a Lingua Franca: a more relevant approach to English education in Japan?’. Keynote paper at the 47th JACET Convention, Tokyo, September 2008. ‘European ELF: attitude and identity’. Invited paper in the symposium ‘Reconciling multilingualism with English as a lingua franca: realistic policy or wishful thinking?’ at the 15th World Congress of Applied Linguistics (AILA), Essen, August 2008. ‘ELF or ENL for English-medium universities?’, invited colloquium paper at the international conference Language Issues in English-medium Universities, University of Hong Kong, June 2008. ‘Does English as a Lingua Franca have relevance for English teaching in Hong Kong?’. Plenary paper at the inaugural roundtable of the Research Centre into Language Education in Multilingual Societies, ‘The respective roles of English and local languages’, Hong Kong Institute of Education, June 2008. ‘(Un)pleasant? (in)correct? (un)intelligible? ELF speakers’ perceptions of their accents. Opening keynote paper at the First International Conference of English as a Lingua Franca, Helsinki, March 2008. ‘ELF still at the gate: attitudes towards English as a Lingua Franca’. Keynote paper at the International Conference on Global English. Verona, February 2008. ‘The changing face of English’. Opening keynote paper at the 24th Annual Conference of ETAS (English Teachers’ Association of Switzerland), Lugano, January 2008. ‘English as a Lingua Franca: interpretations and attitudes’. Invited talk at the 13th Annual Conference of the International Association of World Englishes, Regensburg, October 2007. ‘EAP as an academic lingua franca’. Closing plenary at the annual BALEAP conference, Durham, April 2007. ‘The English language learner as learner of English as a Lingua Franca’. Invited paper in Spotlight Session ‘Reconceptualizing the contemporary English language learner’, 41st Annual TESOL Convention, Seattle, March 2007. ‘English as a Lingua Franca: which English, why, and who for?’. Keynote paper at the Association for Terminology and Lexicography annual conference, Guildford, January 2007. Organiser of the Centre for Global Englishes PhD conference, ‘Global Englishes’, Southampton, June 2016. Director of the Centre for Global Englishes (CGE), which was established in 2010. It produces and disseminates research on the linguistic and sociocultural dimensions of global uses and users of English (Global Englishes), and on English as a Lingua Franca in particular. This collaborative project (2014-2017) funded by the Universities of Southampton and Helsinki, and led by Jennifer Jenkins at Southampton and Anna Mauranen at Helsinki, explores orientations to English language use within universities that describe themselves as ‘international’ or ‘global’. The main focus is on staff and student (international and home) perspectives on English language use and requirements (including entry requirements), with the aim of providing sufficient data to enable us to draw cross-university comparisons and contrasts in both English Medium Instruction and English dominant contexts, as well as broader conclusions about the nature of internationalization on the campuses involved. In addition to the research teams at the universities of Southampton and Helsinki, the project includes research teams at Monash University (Australia), Shantou University (China), the University of Sienna (Italy), the University of Malaya (Malaysia), Waseda University (Japan), Vrije University (Netherlands), and the University of Saragossa (Spain). The completed project will be presented at a one-day workshop in Helsinki in June 2017 and in an edited volume on English Medium Instruction. This collaborative project with partners in Southampton, Szeged and Prague forms part of the wider LINEE network funded under the EU 6th Framework (Languages in a Network of European Excellence). Jenkins, J., & Wingate, U. (2015). Staff and students perceptions of English language policies and practices in 'international' universities: a case study from the UK. Higher Education Review, 47(2), 47-73. Jenkins, J. (2015). Global Englishes. A resource book for students, 3rd edition. (Routledge English Language Introductions). Abingdon, GB: Routledge. Jenkins, J. (2014). English as a Lingua Franca in the international university: the politics of academic English language policy. Abingdon, GB: Routledge. Archibald, A., Cogo, A., & Jenkins, J. (Eds.) (2011). Latest trends in ELF research. Newcastle upon Tyne, GB: Cambridge Scholars Publishing. Murata, K., & Jenkins, J. (Eds.) (2009). Global Englishes in Asian Contexts: Current and Future Debates. Basingstoke, GB: Palgrave Macmillan. Jenkins, J. (2009). World Englishes: a resource book for students, 2nd edition. (Routledge English Language Introductions). London, UK: Routledge. Jenkins, J. (2007). English as a Lingua Franca: attitude and identity. Oxford, GB: Oxford University Press. Jenkins, J. (2000). The phonology of English as an international language: new models, new norms, new goals. (Oxford Applied Linguistics). Oxford, GB: Oxford University Press. Jenkins, J. (2018). Trouble with English? In M. Kelly (Ed. ), Languages after Brexit: How the UK Speaks to the World (pp. 25-34). Palgrave Macmillan. Jenkins, J., & Leung, C. (2017). Assessing English as a lingua franca. In E. Shohamy, I. Or, & S. May (Eds. ), Language Testing and Assessment (3rd ed.). (Encyclopedia of Language and Education). Heidelberg, DE: Springer. Jenkins, J. (2017). Not English but English-within-multilingualism. In S. Coffey, & U. Wingate (Eds. ), New Directions for Research in Foreign Language Education Abingdon: Routledge. Jenkins, J. (2017). The future of English as a Lingua Franca? In J. Jenkins, W. Baker, & M. Dewey (Eds. ), The Routledge Handbook of English as a Lingua Franca Routledge. Dewey, M., & Jenkins, J. (2010). English as a Lingua Franca in the global context: interconnectedness, variation and change. In M. Saxena, & T. Omoniyi (Eds. ), Contending with Globalization in World Englishes Bristol, GB: Multilingual Matters. Jenkins, J. (2009). (Un)pleasant? (In)correct? (Un)intelligible? ELF speakers' perceptions of their accents. In A. Mauranen, & E. Ranta (Eds. ), English as a Lingua Franca: Studies and Findings (pp. 10-36). Newcastle upon Tyne, United Kingdom: Cambridge Scholars Publishing. Jenkins, J. (2009). Exploring attitudes towards English as a Lingua Franca in the East Asian context. In K. Murata, & J. Jenkins (Eds. ), Global Englishes in Asian Contexts: Current and Future Debates Houndmills, Basingstoke, United Kingdom: Palgrave Macmillan. Jenkins, J. (2016). International tests of English: are they fit for purpose? In H. -H. Liao (Ed. ), Critical Reflections on Foreign Language Education: Globalization and Local Interventions (pp. 3-28). Taipei: Shulin Publishing Co. Ltd.
Jenkins, J. (2005). Teaching pronunciation for English as a Lingua Franca: a sociopolitical perspective. In C. Gnutzmann, & F. Intemann (Eds. ), The Globalisation of English and the English Language Classroom (pp. 145-158). Göttingen, Germany; Tübingen, Germany: Gunter Narr. My teaching interests are broadly within Global Englishes, with a particular focus on English as a Lingua Franca (ELF). I am currently first supervisor to the following doctoral students: Lien Thi Hanh Bui, Kuan-yun Chen, Jill Doubleday, Carmen Gaete, Assia Hakime, Yaeko Hori, Parameth Lord-Asa, Mary Page, Gonzalo Perez Andrade, Nizamuddin Sadiq, Palwasha Sajjid, and Jayne Whistance. I am also second supervisor to: Atallah Alanazi, Marta Bas, Napatkamol Kantabutra, and coordinating supervisor to Elise Nichols. The majority of these students are researching aspects of Global Englishes and more specifically of English as a Lingua Franca.